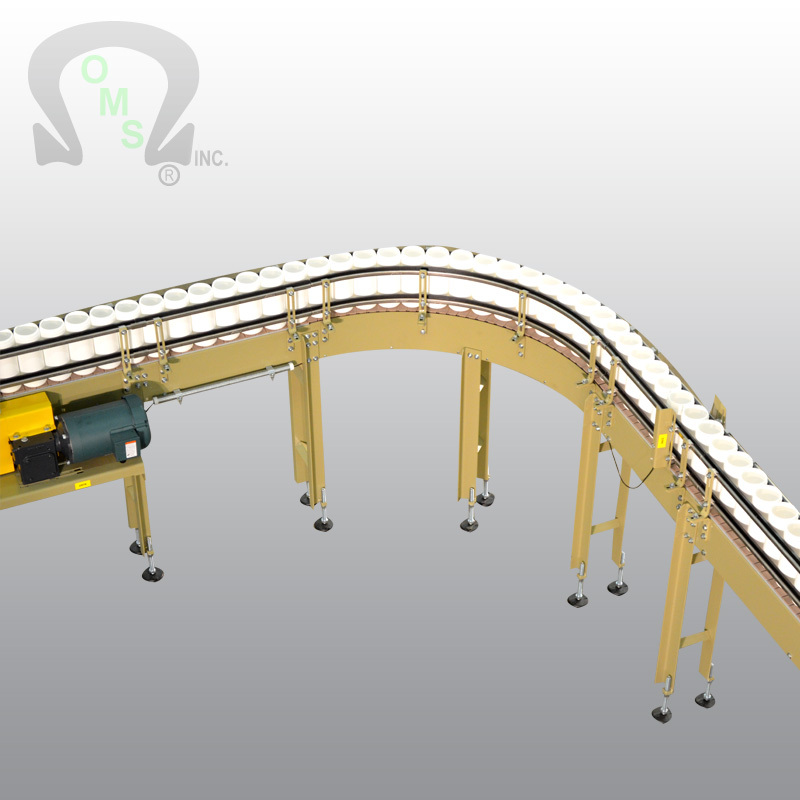 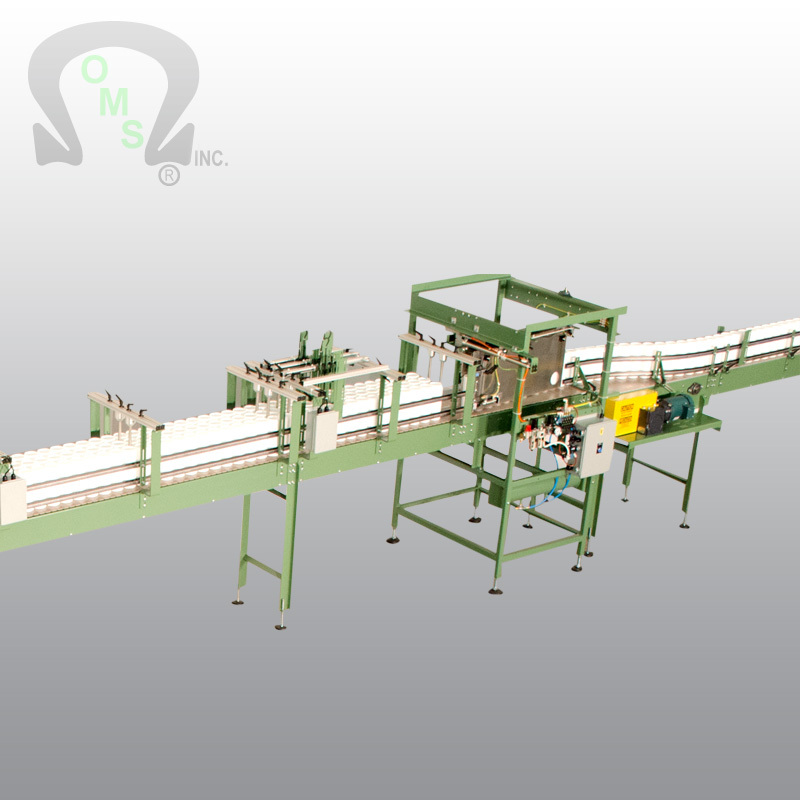 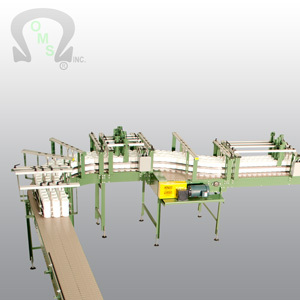 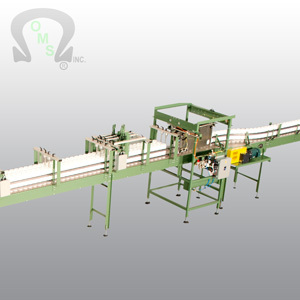 CONVEYORS - Tabletop Chain Conveyor Systems - OMS Inc.
O.M.S. offers a variety of Tabletop Chain Conveying Systems. 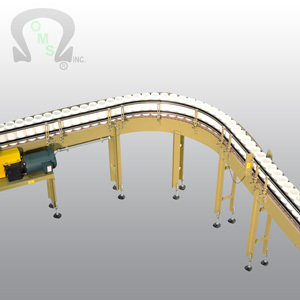 If you are in need of a Tabletop Chain Conveyor system for your facility, we can accommodate a wide variety of needs. 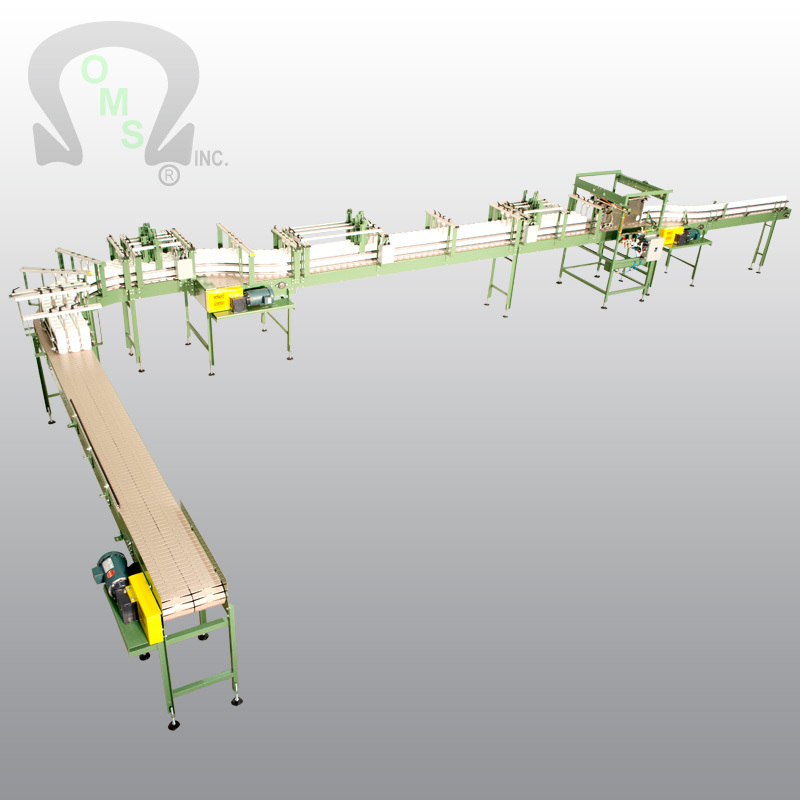 We are able to customize our layouts based off of your size requirements. Mechanical Lane Diverter and Combiners.